Upon the completion of his studies in the university, Ruggedman decided to pursue a career in music, abandoning chances of making a living from politics and other fields of endeavor in the country. Popularly known by his stage name RuggedyBaba or Ruggedman, the singer made his way to the music industry in the year 1999, which was exactly the year he produced two tracks himself as well as other songs that received local and international recognition. Unlike most Nigerian artists who started out on other people’s record label, Ruggedman started producing and recording his own tracks on his personal record label called Rugged Records. The label’s first act, as gathered, is Afropop sensation MBRYO, who joined Ruggedman’s team in September 2012 and also got featured in RuggedyBaba’s song ‘Ruggedy Baba pt 2 and album: “Money Making Music”. In this article, you’ll get to learn all there is to know about the music star and other lesser-known facts about him. He is a popular Nigerian hip-hop icon who began exploring the music industry in the year 1999. Ruggedman’s real name is Michael Ugochukwu Stephens. He was born on September 20 in Ohafia, Abia State, Nigeria. The singer’s year of birth is not detailed online, however, some websites reported in 2017 that he turned 41 that year. Similarly, details about Ugochukwu’s personal life and family background, including his parents, siblings, ancestry, and family members are yet to be publicised. As for his educational achievements, he graduated from Lagos State University, where he studied political science. Over the course of Ruggedman’s musical career which got into full swing in 1999, as mentioned earlier, he has banded together with a good number of local and international artists including Nas, Kanye West, Sean Paul, Maxi Priest, LL Cool J, T-Pain, among others. The singer boasts four successful albums and one hit single which was released in 2016. Ruggedman’s albums include “Thy Album Come” (2004), “Ruggedy Baba” (2007), “Untouchable” (2010), and “Money Making Music” (2012). Respected for his ability to blend rap features with skillfulness like most foreign counterparts, Ruggedman’s outspoken nature has also earned him a few rivals and has had a public rift with a handful of singers. He is known to have had a public fallout with singers 9ice, Eedris Abdulkareem, and Modenine. 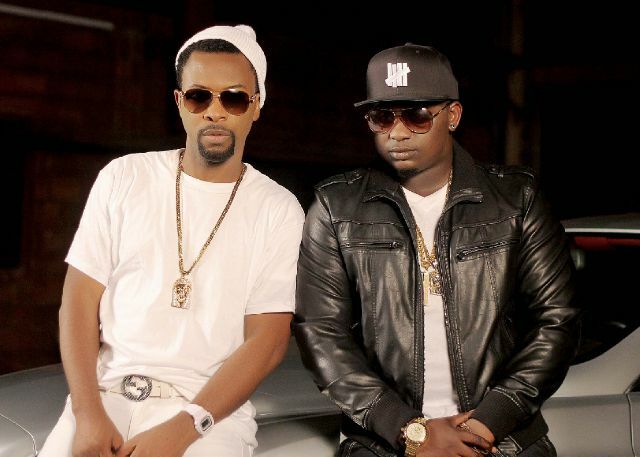 Ruggedman and Eedris Abdulkareem’s beef started after the latter claimed that he was the best African rapper. In response, Ugochukwu threw direct shots at Eedris in his song, “Ehen”. The pair later reconciled several years and also sealed it with a collabo. Next on the list is 9ice. The singers’ relationship turned sour after it was rumored that Ruggedman had an affair with Toni Payne, who was 9ice’s wife at the time. After several years of bitterness against each other, the friends eventually buried the hatchet by dropping the song “Religion” in 2016. Considered as the most iconic beef in the music industry, Modenine and Ruggedman’s dispute played out in several songs that were separately released by the singers. Remarkably, Modenine’s song Talking To You rubbed RuggedyBaba the wrong way to the point he fired back with a song, making it absolutely difficult for fans to pick the winner of the supremacy battle. Although their fallout didn’t lead to physical altercations, it left many music stars baffled and in shock. What is He up to and Where is He Now? Famed for his outspoken nature which has earned him a few rivals in the music industry, Ruggedman is believed to be working out ways on how to become a better hip-hop’ star. Though we can’t really tell where he is right now, we believe the Ohafia-born singer spends most of his time in Nigeria with his family, friends, colleagues, and loved ones. At the time of writing, Michael is still single and probably searching for the right woman to spend the rest of his life with. As it is uncommon with most prominent singers, he has no documented relationship with women and it seems he is not in a hurry to tie the knot. He has no children of his own neither has he been married before. Ruggedman seems to be very focused on his robust career which has taken him to places and also opened up many opportunities to share the stage with notable international artists.